Since early 2003 we have been offering tubes and box section that has been lasered and rolled/bent in both Mild and Stainless Steel. We have two mandrel tube benders which can push bend tubes and box section up to 42mm diameter. In addition we have three different size ring rollers that offer variable radius bending on sections up 120 x 120 square, rectangles and circular tubes (subject to tooling). Recently commissioned is an all elective CNC tube bener called the ELECT 150 which offers both fixed and variable radius bends on tubes up to 150mm diameter subject to tooling. All these lasers and tube bending equipment offer unrivalled processing capability under one roof, combining the strength of a leading tube and hollow section specialist with the UK’s leading laser processor. 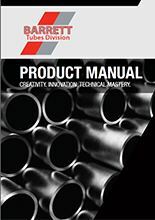 Discover our extensive range of tube products.